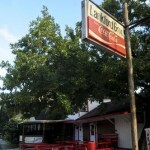 Lauren & I have driven by Lankford Grocery many times – always wondering why it was so packed and dodging cars and pedestrians as they ventured into the little building, tucked into the middle of a midtown Houston neighborhood. We never though to stop simply because it was always chaotic and we didn’t know what was going on inside. 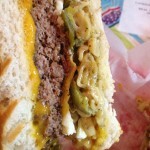 But this past Saturday, the weather was beautiful and I had just come across the list of 2012 Top 100 places to eat in Houston and I zeroed in on the post regarding the Pineapple Wasabi Burger. 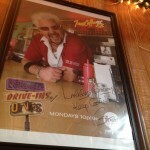 So I told Lauren to get dressed – we were going on a food adventure. We lucked out with front row parking – arriving right at 11:45 on a Saturday. And it’s a good thing we did – within minutes of us sitting down, the other tables were filled and there was a line out the door. We sat down at the booth closest to the fan (the place doesn’t seem to have air conditioning) and as we looked around we noticed the poster of Guy Fieri looking down on us. 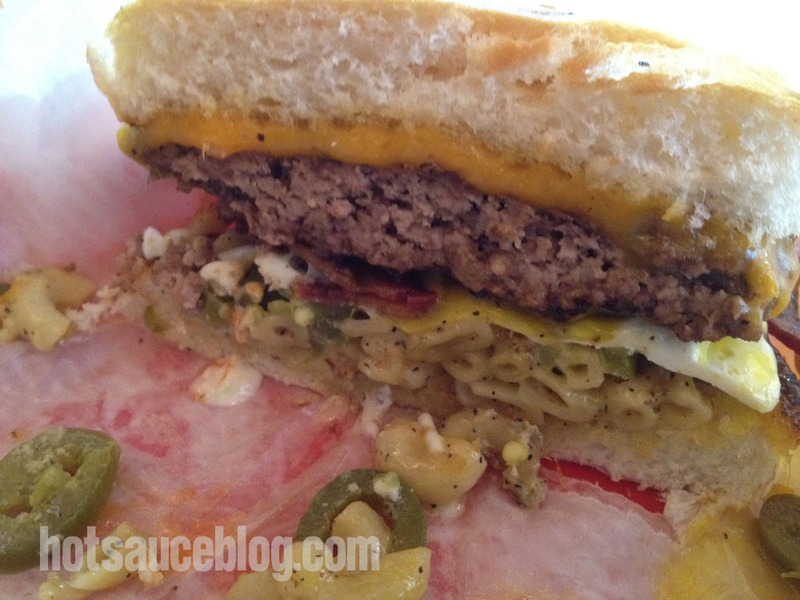 After reviewing the menu, I decided on the Grim Burger: Mac & cheese, bacon, fried egg & jalapeno. Mac & Cheese on a burger? 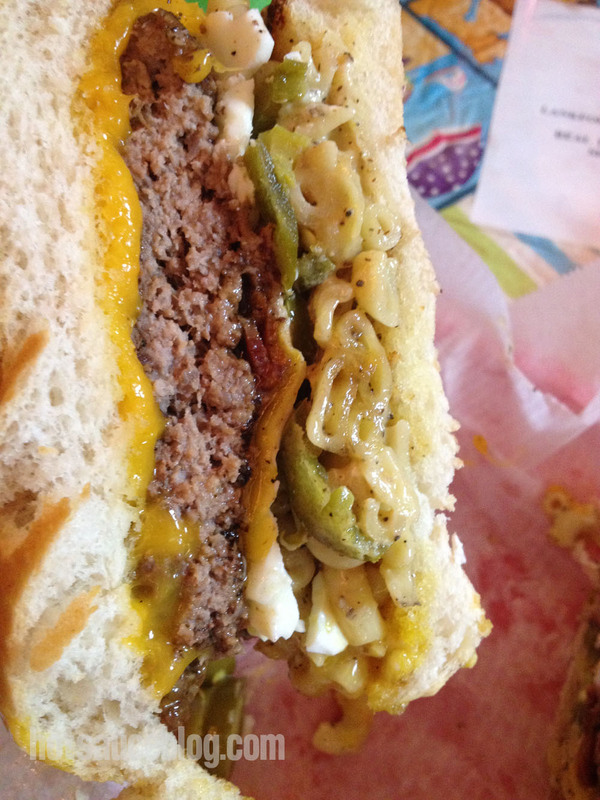 Plus bacon, fried egg & jalapenos – sign me up! My heart skipped a beat and my inner fat kid did a dance. 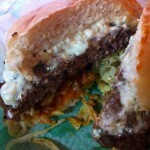 Lauren decided to go with the burger special – the Buffalo Hot Sauce Burger – with bleu cheese and buffalo sauce. 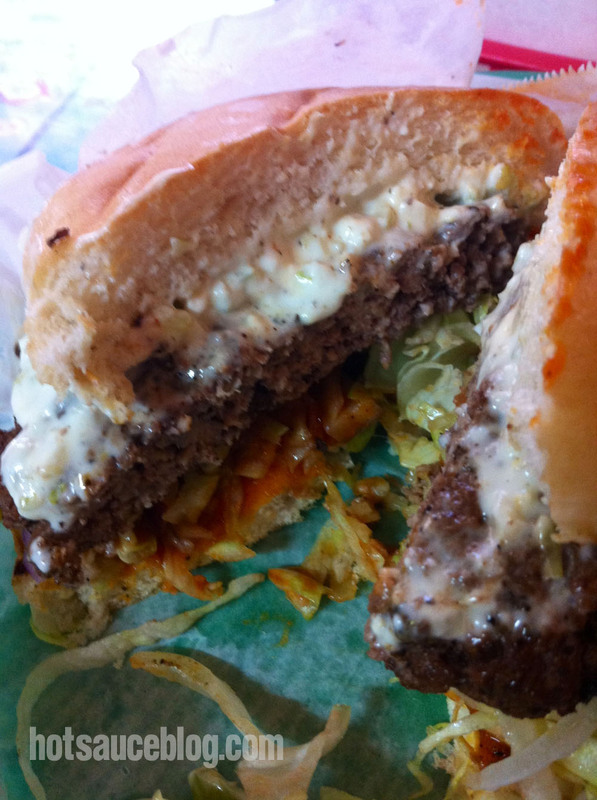 These burgers are no joke – they are about the size of your head when they come out. 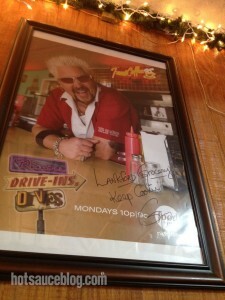 We ordered a side of fries as well but basically didn’t touch them – no reason too. 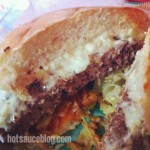 Our faces were stuffed with burger goodness. The patties are large, juicy and perfectly cooked. The Mac & Cheese on my burger was nicely spiced with black pepper and not overly cheesy. There was so much on the burger – it was all I could do to keep the bread together enough to get the burger to my mouth. 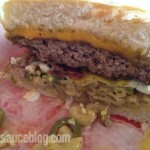 The fried egg oozed perfectly and they were generous with the jalapenos. My mouth is watering now just remembering it. 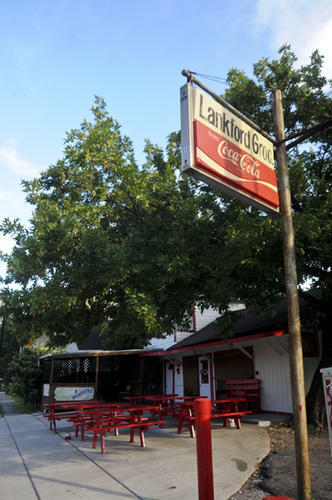 The Lankford Grocery website appears to be under re-construction, but I was able to find the menu (PDF) – it appears to be different then the one in the shop – but it has all of the same basic burgers on it. 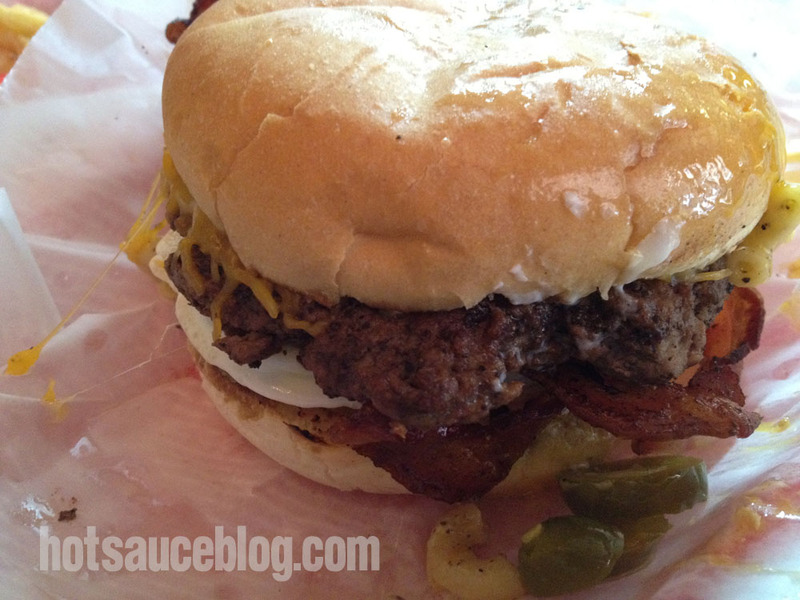 If you are in Houston, check this place out (especially if you are coming for the Houston Hot Sauce Festival) – you’ll fall in love with the downhome decor, service and flavorful burgers just like we did. 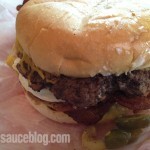 This place is most definitely on our list of favorite burger places in Houston.